Mayor says plans to shift toward clean energy are ambitious, achievable. Mayor Biskupski said a shift in Salt Lake City’s dependence on electricity “means we can make a very large dent in that footprint through a singular act of securing clean energy for electricity needs. 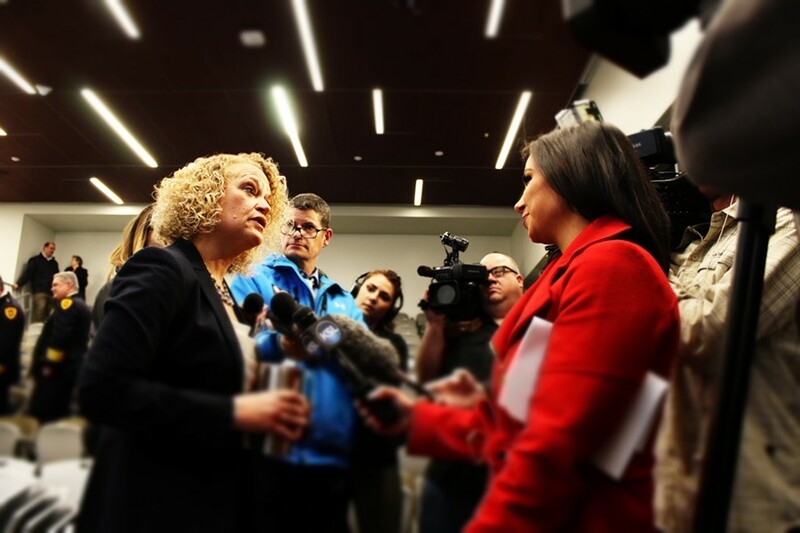 Roughly 50 percent of Salt Lake City's carbon footprint comes from electricity use, according to Mayor Jackie Biskupski, who spoke as a panelist at a climate change seminar Nov. 3. 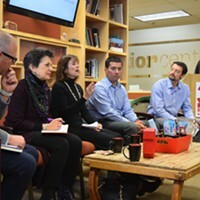 The discussion, organized by the Utah Citizens' Counsel and the University of Utah's Global Change and Sustainability Center, featured several experts and influencers. Speakers outlined the problems posed by the warming climate, shared some strategies to counter its effects, and addressed the tactic of engaging in productive conversation about climate change that avoids polemics. Biskupski focused on what the city aims to do in light of its enormous reliance on electricity from non-sustainable sources. "This seemed like bad news because it means our electricity portfolio is very fossil-fuel dependent," Biskupski said. "But it also means we can make a very large dent in that footprint through a singular act of securing clean energy for electricity needs. That is exactly what we are doing right now." The city passed a joint resolution in July 2016 pledging to upgrade city facilities so that by 2020 half of the power will come from clean-energy sources, transition all community electricity supply to renewable sources by 2032, and reduce greenhouse gas emissions by 80 percent by 2040. "These are ambitious goals, but they are achievable," Biskupski said. 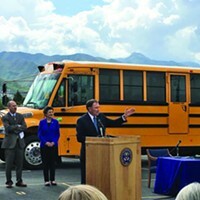 When Salt Lake City announced its plan, it was one of only a handful of cities across the nation to make that commitment. Now more than 150 mayors have signed on. Historically, buy-in has been most difficult in rural communities that have deep-ties to the coal industry. Shawn Teigen, vice president and research director at Utah Foundation, presented figures on Utah's coal counties. In 1981, coal mining jobs peaked but have decreased since. At first, he discovered, the drop in jobs was conversely aligned with a rise in production because of new technological developments. But for the past 10 years, he said, coal production has also started to dip. "These things are definitely related, there is innovation and a decline in production that has led to a decrease in jobs," he said. At the same time, the pie-slice representing coal on the U.S. energy profile—while still large—is proportionally smaller because it's prohibitively expensive. 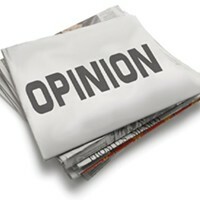 "The reason you see an increase in renewables and an increase in natural gas is because it is cheaper," Teigen said. "Almost nobody is building coal plants in the United States." Many rural communities that house pristine public lands in their backyards are trying to diversify, Teigen claimed, without becoming tourist magnets in the vein of Moab. "A lot of these communities are positioned to bounce back from some of those job losses that they've experienced in the past 20 or so years," he said. University of Utah professor Bill Anderegg, who talked about the risks and opportunities presented by climate change, said renewable energy needs to be marketed as an economic winner. Efforts to curb climate change don't need to be an affront to rural jobs. A larger hurdle might require untangling climate change from partisan politics. Utah, statewide, is deeply red; and out of political arguments, a battle often emerges about traditional beliefs. Brigham Young University professor and member of the LDS faith George Handley said, however, Mormon doctrine aligns with values such as sustainability. "Mormonism is very earth-centered in its theology, and it has some of the most explicit teachings about stewardship that you could possibly hope for," Handley said. In his lectures to other scholars, Handley said he is approached by non-Mormons afterward who are "confounded why Mormons aren't right at the very forefront of environmental activism." Handley cited Mormon scripture that admonishes the faith to use natural resources judiciously, to refrain from waste, to eat fruits and vegetables in season—Handley interprets this as a mandate to eat locally—and to eat meat sparingly, "which has a lot to do with how we affect the climate," he said. U. student hopes to spread message on air quality, personal responsibility. 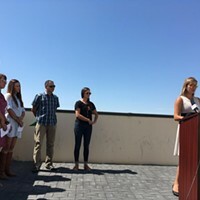 Business leaders demand Guv take action on air pollution. Looks like it’ll cost taxpayers a heck of a lot more than any war in Iraq. 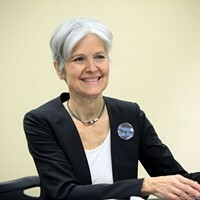 Jill Stein on clean air, Bernie Sanders and the importance of third-party candidates. Guv hosts final ceremonial bill signing of the year. 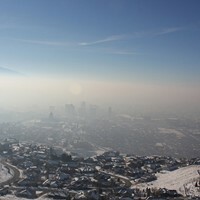 Utah ranks significantly high on air toxins, EPA report reveals.